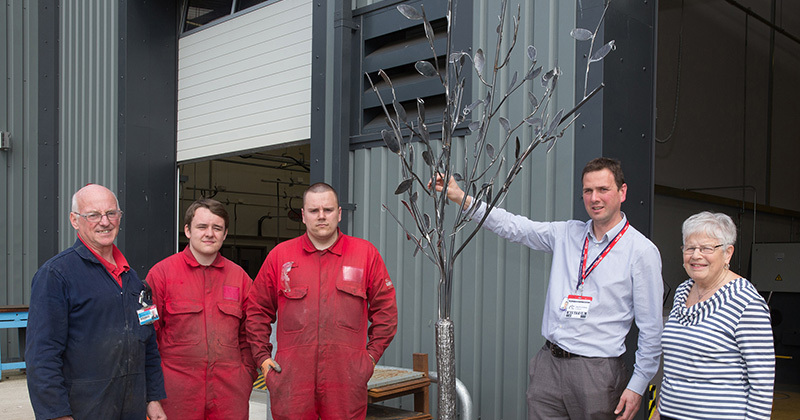 Fabrication and welding students have created a memorial tree to help a local special needs primary school commemorate pupils who have passed away. The team of students from North Lindsey College created an eight-foot tree structure out of steel after being approached by St Luke’s Special Primary School in north Lincolnshire, who wanted a way to remember former pupils. It took four months for the students to build the structure, which has individual leaves on which the school can engrave names. The students completed the tree in their own time, with material donated from local steel and welding firms. 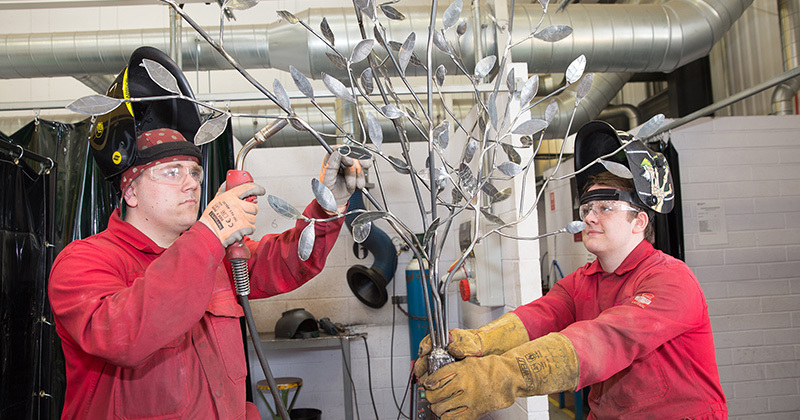 Fabrication and welding students Callum Barstow-Lewis (pictured above right) and Rhys Day both (left) helped work on the tree.